Over 80 schools visit CHS ! ! 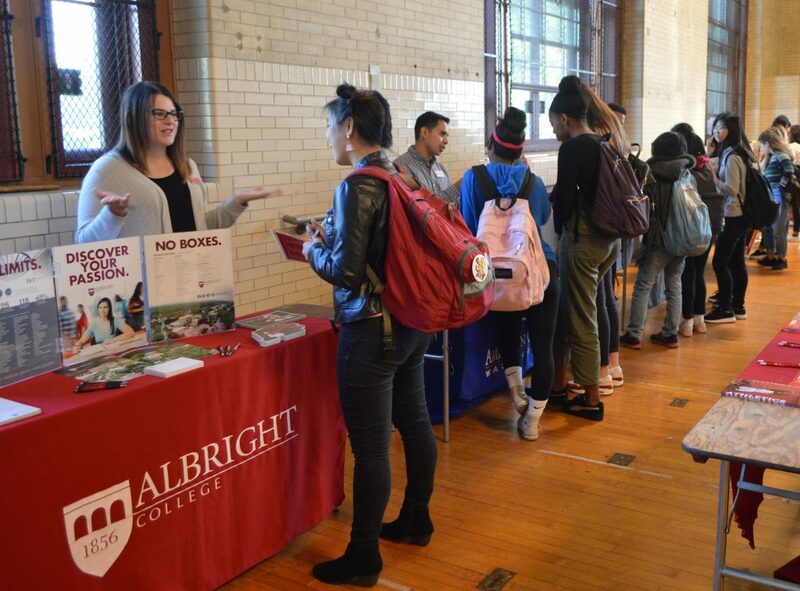 With looming college deadlines rapidly approaching,Central High School held its first college fair of the year on October 12, 2018. About 80 different institutions were represented at the Central High School College Fair, spanning a wide range of categories: from colleges, to universities, to study abroad programs, and also the Air Force and the Marines. The event was organized by Elana Chasan and Juling Tejada of the counseling department, their aim to create an accessible resource to Central students, a precursor to the National College Fair on Sunday, October 14 at the Pennsylvania Convention Center. The supportive student responses are a clear indication that this year’s college fair was a successful step in preparing students for the application process.